I've been in Paris for 10 years now, partly because the world I grew up in felt too small. That's a common feeling. But when I return to California now, I am struck by things I ignored before—the evolving landscape of San Francisco, the carefree richesse of Santa Barbara, the salt ponds bleeding vivid color into water, its beachside highways, redwoods that obscure starlight, and that vast sky, whose red-orange sunsets melt as generously over those crumpled paper-bag hills in winter as in summer. Also, why didn't anyone ever tell us that Foster City is a suburban Venice?! California is beautiful. And in "39 Million Heirs," I am reminded of everything I forfeited that once struck me as dull. 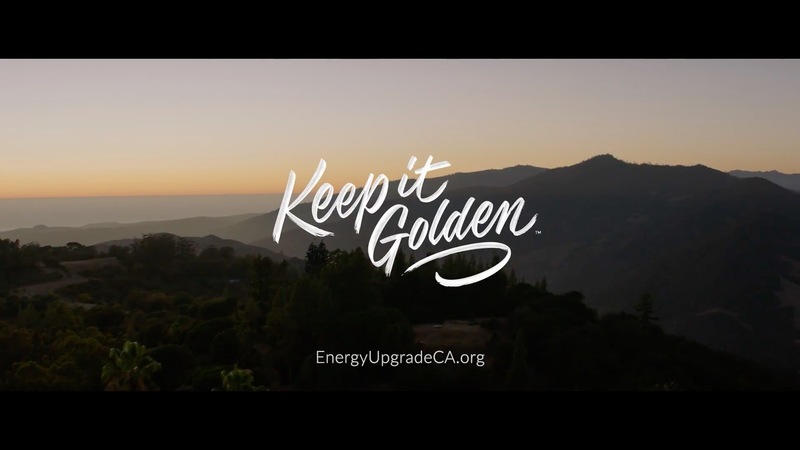 Directed by Britton Cailloutte and created by DDB San Francisco for Energy Upgrade California, the work uses rarely filmed locations to compel native Californians to care for a state that offers so much, primarily by being more conscious of their energy consumption. As DDB itself writes, "California has a lot to offer its 39 million residents, both culturally and naturally. And it offers these gifts freely, on one condition: that Californians promise to preserve and protect their state." Below is our Q&A with DDB San Francisco executive creative director Ben Wolan, himself a native Californian. Muse: What emotions, insights or convictions are driving this work? Ben Wolan: We wanted to speak to all Californians to begin to help us connect our energy use with the land and culture we all care so much about—so we put forth the idea that all 39 million of us will inherit California. By naming us all as "heirs" to all that California has to offer, we wanted to stoke a sense of pride and stewardship for our state. We started by working with native Californian director Britton Caillouette and his team to bring the vision to life and to secure some of the hardest places in California to permit and shoot. From there we set off on a six-day road trip across California in a bunch of Sprinter vans to shoot both iconic and very personal locations. Everywhere we went, we shot portraits of Californians, connecting the people with their land and culture. We capped it off by working with Edward James Olmos on our voiceover. What—or who—inspired the examples that finally made it into the piece? When possible, we wanted to use real Californians and their stories to bring some of the more cultural stories to life. For instance, we filmed Craig DeMartino, an adaptive athlete, climbing the iconic El Capitan in Yosemite. Craig has scaled El Capitan four times, an epic feat on its own, made even more amazing by the fact that he has a prosthetic leg. We also featured Chris Davis, owner of the down-home Oakland restaurant Lois the Pie Queen. What does tomorrow's California look like, and how do we make that happen? Tomorrow's California will hopefully look better than it does today—and we're already taking steps to make that happen: Governor Brown just signed in the SB100 bill, which pledges to make California run solely on renewable energy by 2045. Tell us a secret about the production. When Edward James Olmos was recording our voiceover, he got a little choked up and emotional while watching the commercial. He's a native Californian, so this really connected with him. What does "39 Million Heirs" say about DDB San Francisco's ambitions? We're reviving the iconic DDB brand across the network. This spot is some of the first work out of San Francisco since I've been here, and it signals a movement toward the kind of storytelling and craft that we believe really connects with people. While the tone might shift, stay tuned for more work from Energy Upgrade California in 2019 that uses compelling ideas to get people to think differently about their energy use. How can Californians unite for the well-being of a massive, sometimes ridiculously divided state? I actually think the extremely divided situation in our country right now has lessened the divide in California. More than ever, we view ourselves as our own entity and culture within the U.S., and we recognize the power we wield as the nation's most populous and progressive state. California is a leader, our commitment to the environment is at the forefront of that, and I think people take pride in it. As a native Northern Californian, I've learned to loosen my ingrained rivalry with SoCal. We'll always be rivals, but real Californians feel a connection to each other no matter what part of the state we're in. Plus, there is always Netflix as proof that entertainment and tech can live in pure, binge-inducing harmony. "39 Million Heirs" rolled out in San Diego on Oct. 15. Over time it will go statewide, running as an anthem piece to a series of campaigns designed to help Californians become more energy efficient. It will appear on social and broadcast, as well as on EUC's YouTube channel.